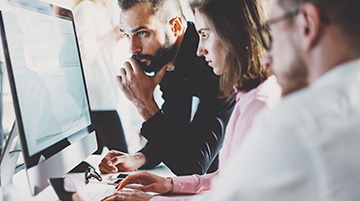 With Systems Engineering’s Endpoint Security service, you’ll receive critical security updates on a regular and timely basis for Microsoft Windows workstations. This service vets all security updates, making every effort to ensure there are no incompatibilities that may cause problems or loss of productivity in your environment. In addition, as a client of this service, you’ll be free of the time and effort it takes to manage and deploy security updates. Regulated organizations, such as law firms, healthcare, and financial services, can fall out of compliance when security patching isn’t done regularly. For them, we offer monthly compliance reporting to show all security updates and/or statuses of targeted workstations. Learn how your organization can create a solid patching process.